"It is a classic and a great educational tool for all those interested in the Cayce concept of diet." 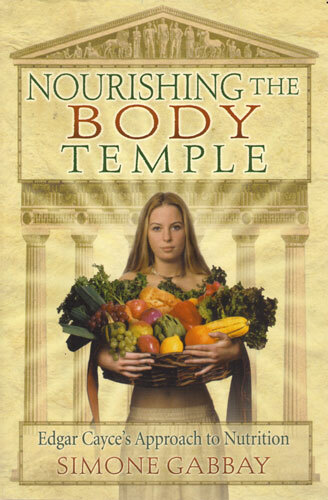 "Nourishing the Body Temple provides a very good holistic perspective to the subject of 'whole self' nourishment." "The Cayce readings gave the world an unprecedented source of insights on how food energies interact with body, mind and spirit to create health or illness; Simone has assembled these for us in this wonderful collection of nutritional guidelines and cooking instructions and complemented them with her own expertise as a professional nutritionist. This is a book that you have to read for yourself to appreciate its value. Thank you, Simone, for this gift to all of us and God bless." This comprehensive diet and nutrition guide explains the dietary recommendations in the Edgar Cayce readings from the perspective of modern nutritional science, addressing a wide range of topics, including acid/alkaline balance, enzymes, vitamins, minerals, food combining, the vegetarian diet, the food-mood connection, and medicinal foods. A section of the book addresses the use of foods and supplements for nutritional needs during pregnancy and lactation, as well as for babies, young children, and teens.